Posted on December 3, 2018 at 8:56 am. Minneapolis, Minn. (December 3, 2018) – IMRIS, Deerfield Imaging, global leader in the hybrid OR market, today announced entry into the stroke market with a global distribution agreement to sell VasSol, Inc.’s NOVA® Quantitative MRA software. Every year, over 900,000 Americans experience a stroke or transient ischemic attack (TIA) caused by insufficient blood flow to the brain. Known as an ischemic stroke, it is the most common type of stroke and the leading cause of disability in the United States. The high risk of recurrence in stroke survivors is a major public health concern. NOVA Quantitative MRA is a powerful diagnostic tool that gives stroke specialists the ability to quantify cerebral hemodynamics and to help assess risk of stroke. NOVA-Neuro is the first commercially available software to use a 3D model-based approach for MR flow measurement. “NOVA is a powerful tool that provides critical information impacting the care and treatment of patients who have compromised cerebral vascular blood flow which can be life threatening. This partnership with IMRIS will put NOVA in the hands of more hospitals and clinicians around the world so they can treat their patients more effectively,” said Dr. Fady T. Charbel, Professor and Head of the Department of Neurosurgery at University of Illinois, Chicago. Dr. Charbel is an internationally recognized clinical expert in cerebral revascularization; bypass, carotid, and vertebral artery surgery; and a co-inventor and developer of NOVA. For the past 20 years, similar clinical applications have made phase contrast MR flow measurement the standard of care in cardiovascular MRI. 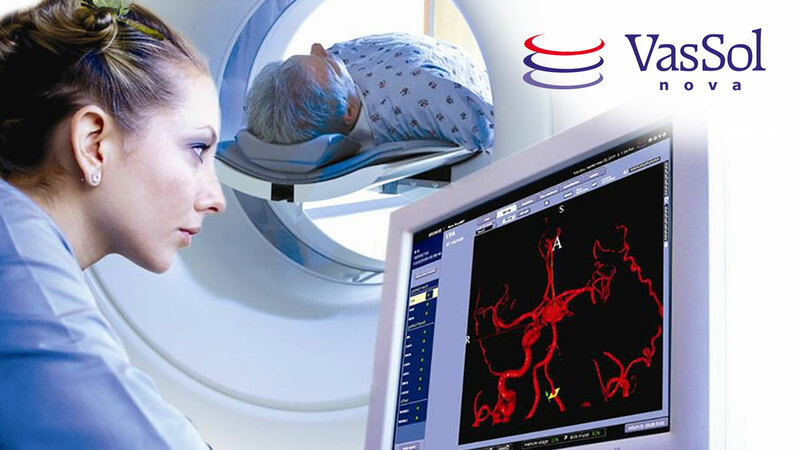 Now NOVA provides neurosurgeons and neuroradiologists this essential tool to apply those same principles to quantitative flow measurements in cerebral vasculature. “IMRIS is excited to bring this impactful technology to the market and to our expanding global customer base. IMRIS is uniquely positioned in this market segment to help positively impact patient outcomes with the NOVA technology based on our organization’s expertise in both MRI and the neurosciences,” said Robert Korn, Senior Vice President of Global Sales and Marketing for IMRIS.